Oiio studio have unveiled the design cues for their new curved skyscraper: “The Big Bend”, strategically located in the neuralgic New York City center, where high rental prices prevent new companies from getting settled. 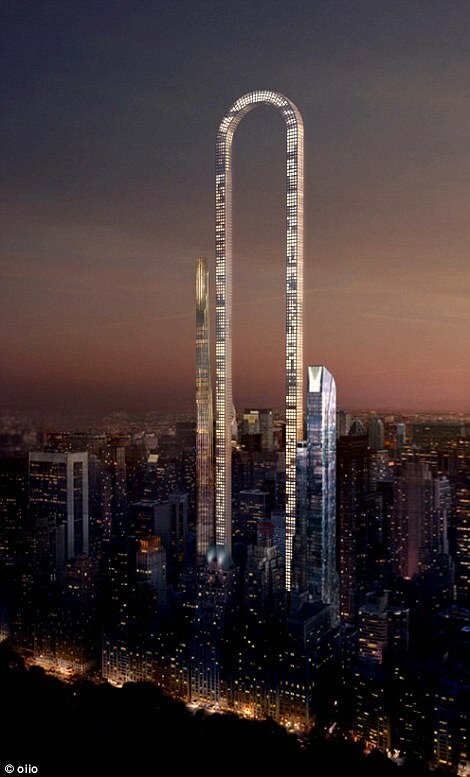 This inverted U that would transform the Manhattan skyline, has been described as “The LONGEST building in the world”. 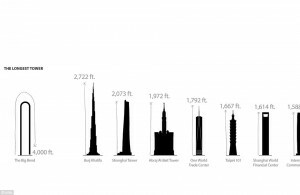 The conceptual drawings of the Project, reveals a skyscraper that reaches apex and then bends downwards again. 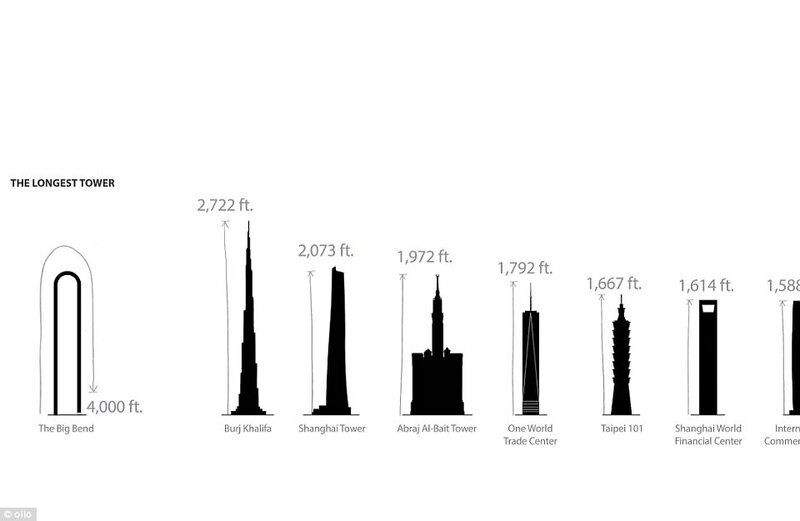 This peculiar tower concept, will be provided with a novel system of double track elevators that will circulate in curves and will move horizontally. The team explained “What was once considered the biggest challenge in the history of elevators, is finally becoming a reality: an elevator that can travel in curves, horizontally and in a continuous loop. The team´s press release states: “There is an undeniable obsession that resides in Manhattan: everything must be made to be seen”. There are many different ways to manage to be seen, but the most effective one is by being attractive in itself. And this is the direction that The Big Bend is taking. Beyond the aesthetic aspects, the curved tower can become a modest arquitectural solution for the height limitations of Manhattan. The technological advances, that already allow that the structures are provided with measurements that will make them stand out without worrying about the limits of the sky. Posted in Architecture Marbella Costa del Sol News and tagged with curve arquitect costa del sol marbella .